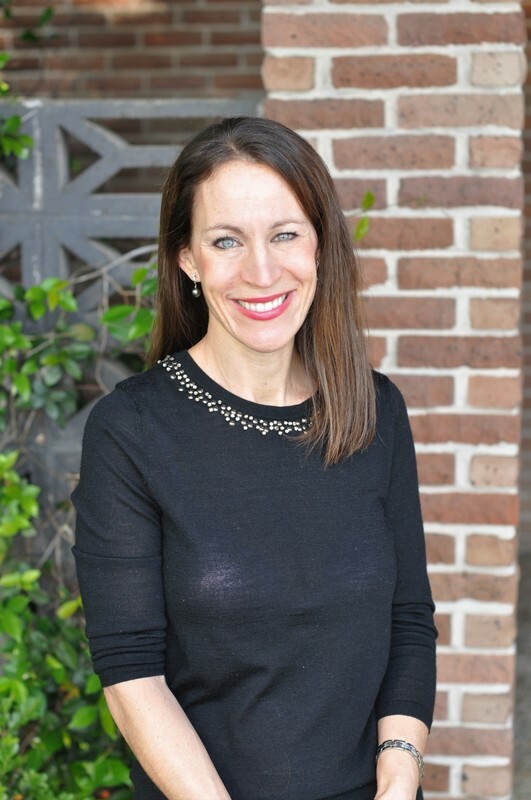 Dr. Rachel Magee Beyer is a Baton Rouge dentist that was raised in Walker, La. She attended Louisiana State University in Baton Rouge finishing with an undergraduate degree in Microbiology. 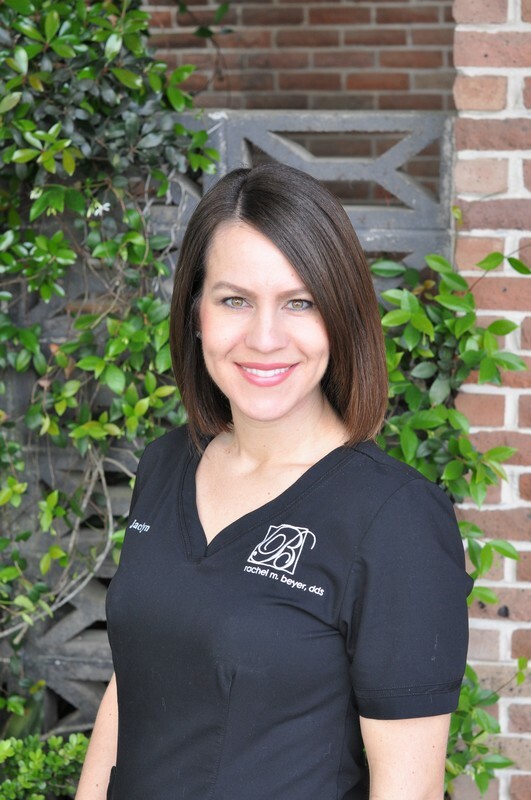 From there, she attended Louisiana State University School of Dentistry and graduated in 2005. She began her career in Houma, Louisiana. Practicing there for 7 years, she and her husband decided to relocate to Baton Rouge, La to be closer to family. Dr. Beyer is a current member of the Louisiana Dental Association, the American Dental Association (ADA), and the Capital Study Club. Dr. Beyer has been married to Greg for 14 years, and they have 3 beautiful children, Claire, Gabriel, and Samuel. At our office we look forward to providing our patients with exceptional care. Robyn is a native of Louisiana. She has been in the dental field since 1988. She enjoys getting to know the patients and discussing financial options for their treatment. In her free time she enjoys spending time with her family and three dogs. Jaclyn has been in the dental field since 2007. She has worked as a dental assistant, hygiene retention secretary, and currently at the front desk. Her influence for choosing a career in the dental field was from her sister, Dr. Rachel Beyer. She is married and has one daughter, Alanna. In her free time, she enjoys spending time with her family and going shopping. 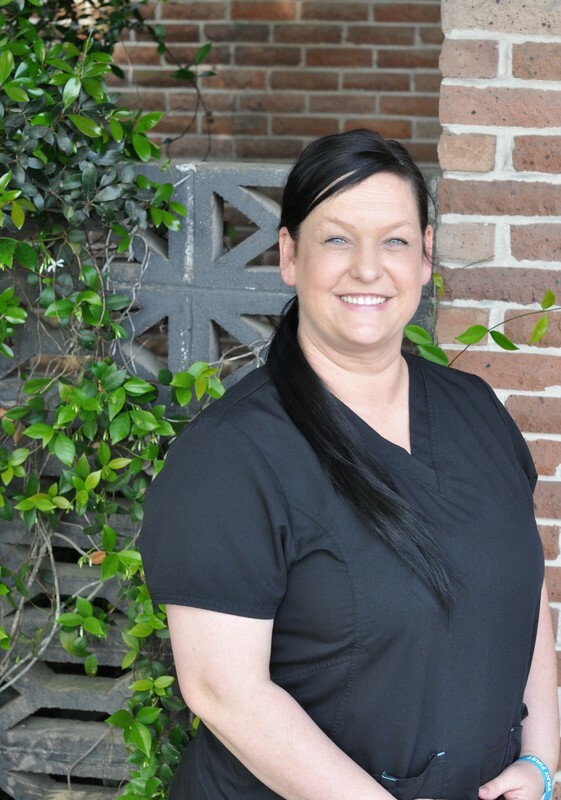 Brandi has been working in dentistry for 16 years. 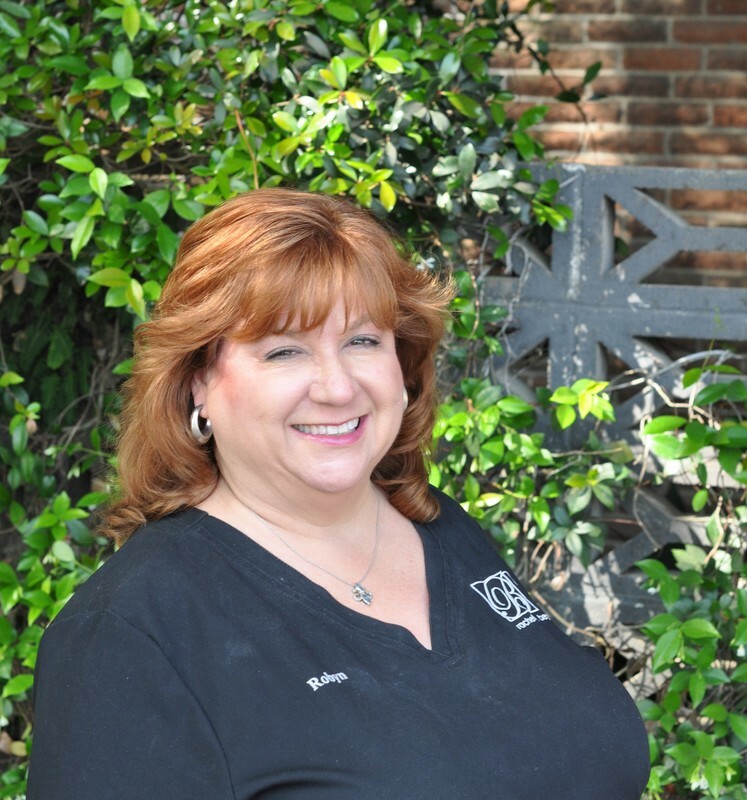 She has a true passion for dentistry and it shows as she works with her patients. She is originally from Zachary and currently resides in Walker. She has two beautiful children and one dog. She enjoys spending time outdoors and with family. 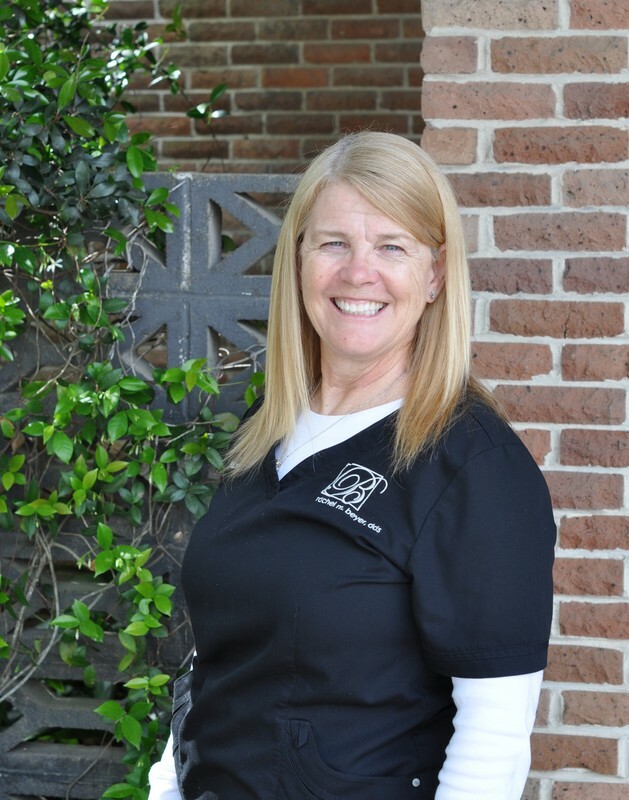 Nancy has been a dental hygienist for 40 years. 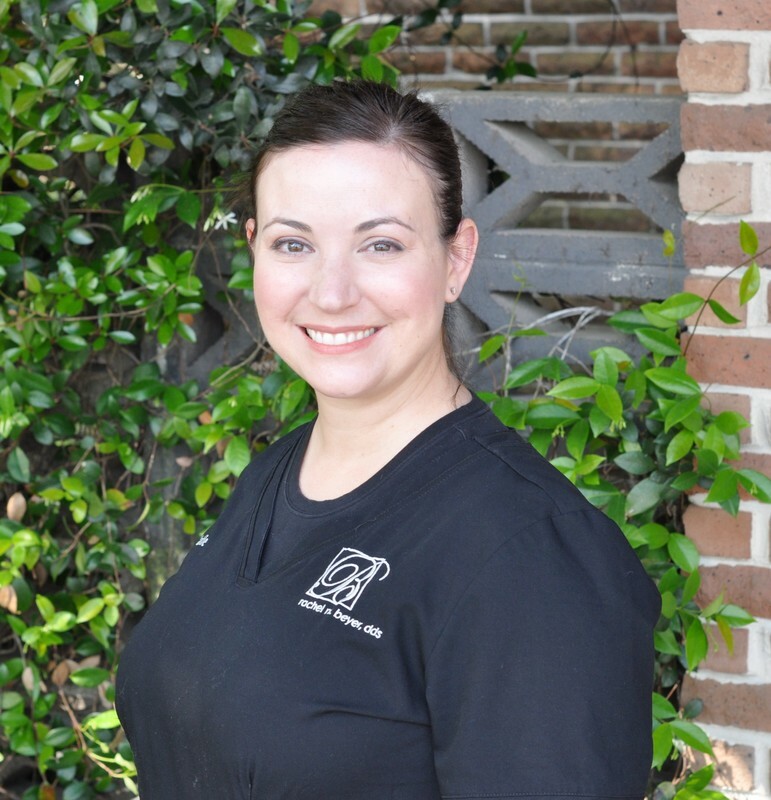 She is originally from Florida and did her dental hygiene training in St. Petersburg. She has two children, Kimberly and Kelly; two grandchildren, Amber and Claire; and two dogs, Jessie and Diesl. She is an avid scuba diver and loves to travel around the world on her latest diving adventure with family and friends. ﻿Katie has been practicing dental hygiene for over 14 years. She is a Baton Rouge native. She attended St. Joseph's Academy. She went on to LSU and the LSU School of Dentistry where she graduated in 2000 with a BS in Dental Hygiene. She still resides in Baton Rouge with her husband, Travis, and three daughters, Avery, Ellie, and Josie. She enjoys spending time with her family and friends, running and cooking.